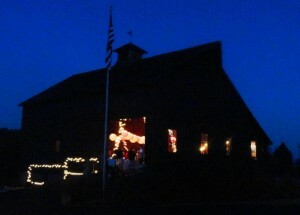 The Long Farm Barn is the perfect location for your summer wedding, located just south of Portland off of I-205. 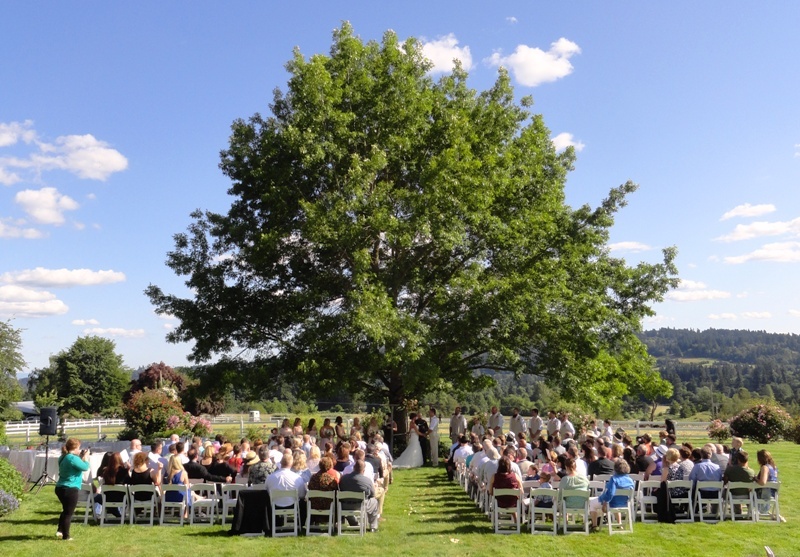 The venue is a Century Farm with a beautiful large tree to get married under with a beautiful backdrop of the rolling hills of Stafford. The planners of Voilà Catering will help you with all the details of your event at Long Barn Farm. From ceremony chairs and guest tables, to the cake cutting and sparkler send-off, Voilà Catering has it covered! After the ceremony, while the bride and groom take a moment alone getting ready for a few final pictures, the guests will enjoy socializing with their choice of beverages and elegantly server-passed hors d’oeuvres. After pictures, time is allotted for the newlyweds to be congratulated by their families and to greet guests before dinner. 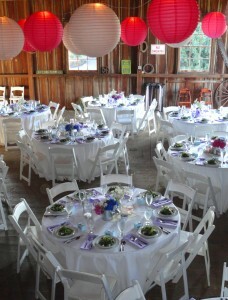 Our team decorates the old barn with additional lighting and fun Chinese paper lanterns. Dining tables are pre-set with floor-length linens, silverware, water goblets, bread baskets, napkins, centerpieces, and guest favors. 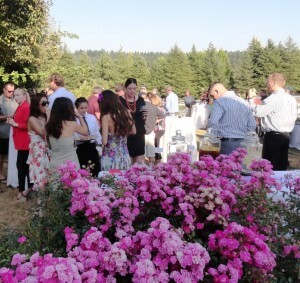 With all the gourmet food cooked on site and served family style at this type of wedding, the guests enjoy a restaurant quality dinner in a fun and social atmosphere. Afterwards, dinner plates are cleared, the dessert buffet is opened, and space is made for an evening of dancing and celebration! Voilà Catering’s full-service team manages all the clean-up of Long Farm Barn and sends the couple off to their honeymoon! Contact us to start discussions for your wedding and reception and see how smooth and easy your BIG Day can be!